Ministry Pass Review 2019 - Is It Really Worth It? In this review we’ll be look at what Ministry Pass is, what they offer, the different membership options and how they can help make your ministry more efficient. If you have any questions, feel free to ask and I’ll do my best to answer them. If you’re already a Ministry Pass member I’d love to hear from you! Please share your experience with us in the comment below. Many of us love to preach but know we don’t prepare as as effectively as we could. Ministry Pass will save you time and money while taking your preaching to a whole new level. The series bundles and sermons calendars they provide will revolutionize not only your preaching, but your Sunday school and youth programs too. Ministry Pass give you the ideas and structure to work with so you can tailor the messages to your church’s needs and make them your own. Ministry Pass is an all-in-one sermon series service. The site gives you access to over 500 done-for-you sermon series bundles. countless hours in sermon prep. Complete with sermon graphics, video intros, slides, invites, talking points, social media graphics, sermon calendars and more. They also provide kid’s church and youth lesson series and small group discussion guides. New topics and designs are added to their library every single month. Ministry Pass allows you to test drive the entire service for free with their 14 day trial. Click the button below to take a look! Most pastors spend a lot of time and energy cooped up studying, planning and writing sermon outlines week in and week out. The issue is putting all the pieces together. This is where Ministry Pass step in and revolutionize the way we plan and prepare sermons. With the huge sermon series library at your disposal you can quickly and easily find a suitable series for your church and use the talking points and illustrations to get your creative juices flowing and make it your own. Whether you’re looking for a preaching ideas for big events like Easter and Christmas, or for book by book or topical sermon series – they’ve got it all. With Ministry pass you’ll also be able to plan out your young people’s teaching calendar with topical and relevant teaching series that communicates the truths in the Bible in a way they’ll really relate to. With the youth sermon calendar you’ll be able to plan out each your young people’s ministry well in advance. With Ministry Pass’s kids resources you can make your Sunday school program the highlight of the week for your little ones. Each series comes with one big idea you want your children to know as well as fun and engaging activities and illustrations. Ministry Pass allows you to test-drive the entire community for Free. Hit the button to start your free trial! How will Ministry Pass help you? As a young lad sitting in church I used to look at the pastor up front thinking he had an easy job. I thought sure, he’s busy on Sundays but what does he do the rest of the week? 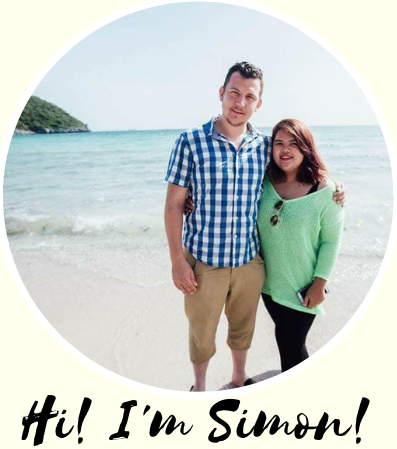 After becoming a youth pastor and now supporting church planting efforts as a missionary in Thailand, it didn’t take me long to realize that as a pastor you’re busy all week. It’s not just the long hours or the fact you’re always on call, it’s that your job description covers so many varying roles. A pastor is a speaker, scholar, counselor, event planner, handyman, community leader, accountant, and conflict resolution specialist—all rolled into one. I’m not saying Ministry Pass is a miracle solution to every ministry problem, but the tools and resources they give you will at least help you breathe a little easier knowing your preaching calendar and media side are taken care of. Joining Ministry Pass is like hiring a sermon planner who takes care of all your graphic design, titles, sermon outlines, small group discussions, Sunday school lessons and youth teaching schedules. You have unlimited access to hundreds of ideas all in one place wherever you are and from any device. You get to test drive Ministry Pass completely risk free with their 14 day free trial. That means you can see what’s on offer and decide whether it’s right for you before paying a penny. Imagine if you had to hire a graphics designer and a video editor to come up with bumper videos, posters, slides and social media graphics. Not only is Ministry Pass a huge time-saver, they’re cost effective too! You can download creative sermon series based on any topic you can think of. I promise you’ll never be short on ideas again. Use their done-for-you templates as a springboard to spark innovative ideas of how you can approach a topic from a new and interesting angle. More compelling sermons that ultimately lead to more people engaging with your preaching, more people remembering your talking points and talking about them throughout the week. This will take your preaching to a whole new level and help make your Sunday services an even bigger unforgettable event. There’s a whole myriad of ways you can contact them if you want to ask a question or are unsure of anything. You can contact them via their live chat on MinistryPass.com, email them or speak to their support team by calling 800-379-8033 (9-5 EST). Every time I’ve contacted them they’ve always gotten back to me in good time and with a helpful, friendly response. They’re also active on Twitter and have a ‘very responsive’ rating for replying to queries quickly via their Facebook page. Sermon planning and prep is the biggest pressure pastors feel week to week. For most, it begins on Tuesday and builds until late Saturday night. Not only is this super stressful (trust me I’ve been there!) but it’s no way to fulfill your potential as a preacher. Ministry Pass is simply the best resource I’ve ever come across that helps relieve the pressure of preaching preparation. It really is the ultimate sermon prep companion! Essentially MP gives you a more efficient way of planning and preparing sermons. Are you somehow cheating the preaching game by taking advantage of the resources available? Ministry Pass isn’t about giving you transcripts to memorize, instead they provide you with the ‘big idea’, Bible verses and talk point ideas so you can customise your message according to your style and for your church. You can make the sermon ideas your own but at least you have a framework to work with and you’re not having to start from scratch. Not only that, you will now have more time available for other ministry or spending time with family and that alone is priceless. In my opinion, Ministry Pass the best time-saving and most cost-effective resource for preachers who want a more effective way to plan and prepare sermons. To check out the sermon series bundles and media graphics, click the button below and test drive Ministry Pass for free! 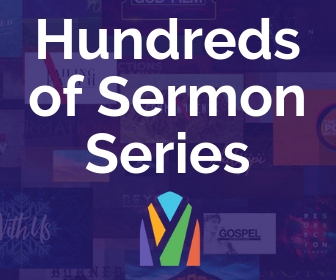 Do you know how often they add new sermon series bundles? I’m going to talk to our leadership team about this and see if they’re interested because it would save our pastor a lot of time in preparing sermons. I really think he will be interested! It seems like there is a lot to offer with the lessons and games and activities. I can tell you Ministry Pass update their libary each and every month with new sermon series, new events and annoucement bundles for adults, young people and kids. I just want to emphasise, this is a valuable resource for helping to plan and prepare for not just Sunday mornign preaching, but for Sunday school, your young people’s program and your connect group system too! Our church has just started running monthly sermon series and I love the idea that you can get done for you sermon outlines with beautiful graphics and videos. I never knew anything like this ever existed! We’re already seeing a positive reaction from our existing members who love the monthly themes and are inviting their friends more because, as you say, it helps make your Sunday morning service a special event. It looks like Ministry Pass has some really neat ideas for Christmas and Easter sermon series too so I shall definitely be presenting this as a way forward to our church board. Thanks Shenai! Yes organising your preaching into sermon series, whether that be 4 weeks, 6 weeks or 8 weeks is definitely a great idea all round. 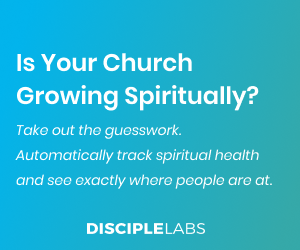 It makes planning your preaching calendar and coming up with ideas so much easier and your messages way more memorable for your congregation. All of the Ministry Pass sermon series bundles I’ve seen also come with invites you can tailor and print as a tool you can equip your people with to invite their family and friends as well as social media images and post ideas so you can promote your upcoming series on your church Facebook page and so on! As a new preacher I have to say Ministry Pass has been a true God send! What most people don’t realise is that they also give you training and guidance on all things to do with sermon prepping and communicating. I’ve taken a few preaching training courses in the last year or so but this training has been the easiest to follow. They’ve helped reinforce some of the techniques I learned before. Of course there can never be a substitute for seeking God’s voice and guidance in prayer but I also believe God can give you revelation and help through the wisdom of your Christian brothers and sisters. By helping each other we can become more effective in our ministries. Thanks very much and God bless you! Keep up the great work! I think you hit a really good point here. 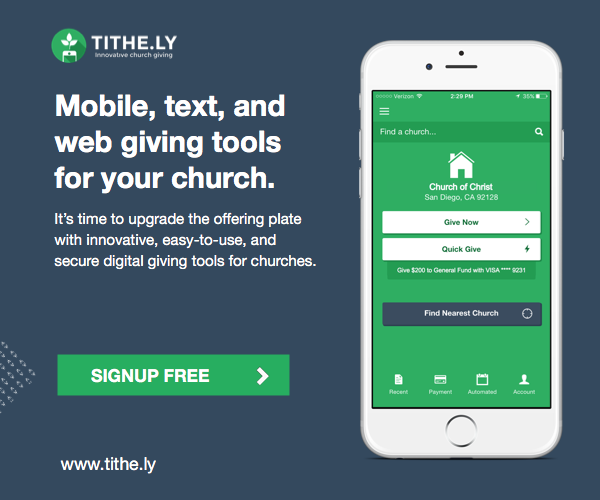 Why do we need to reinvent the wheel every time and start our sermon outlines from scratch when there’s a ton of resources available to you? I’m always looking for tools and technqiues that will make our lives as church leaders more effective (not more difficult!) and Ministry Pass definitely fits the bill. Thanks so much for sharing your own experiences with Ministry Pass, I know it’s going to help other leaders reading this.